My recent three-day business trip to downtown Charlotte was highlighted by multiple visits to Carolina Ale House. The lively sports pub was in a perfect location — only a block away from my room at the Hilton. I went three times over three days and still didn’t put a dent in the 72-tap beer selection. 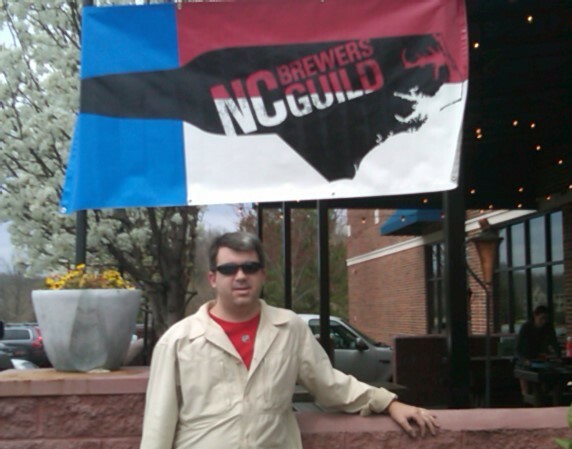 It was my first night in Charlotte, and I was focused on finding North Carolina brew. The Carolina Ale House beer menu offered plenty of options. After my flight, I had a pint of Woody & Wilcox, a hoppy American IPA from Charlotte’s NoDa Brewing Company (6.0%). Not only did I savor Carolina beer on this trip, but I also savored Carolina BBQ, which is my favorite BBQ in the country. I had dinners of pulled pork tacos, beef brisket nachos, and a traditional pulled pork sandwich topped with slaw. Between the 12 different NC brews and the Carolina BBQ prepared three ways, I enjoyed quite the Carolina culinary adventure. Ok, so what were your thoughts on Red Oak? One of my favorites. I liked Red Oak – easy drinking and refreshing, with a very clean taste. I would buy it by the 12-pack as a session beer for football games.